The SP10 is a 10-W photovoltaic power sources capable of recharging batteries. Its 6.1 m (20 ft) cable has stripped and tinned leads that connect to the PS150, PS200, CH150, CH200, or battery base of the CRVW3, CR3000, CR5000, CR7, CR9000X, or CR6. The SP10 has a sufficient charging source for many of our system configurations in tropical to temperate latitudes. It allows unattended operation of systems in remote locations, far from AC electrical sources. The SP10 includes mounting hardware consisting of one pn 17492 U-bolt and matching nuts. The U-bolt has a 5.398 cm (2.125 in.) space between the U-bolt legs. This hardware allows the solar panel to be mounted to a 0.75 in. to 1.5 in. IPS pipe [25.4 to 50.8 cm (1 to 2 in.) OD]. A 788 connector must be soldered onto the solar panel leads to use the SP10 with a 21XL rechargeable base. The SP10 is compatible with the CH150; the CH200; or the regulator built into the PS150, PS200, CR6, CR3000, CR300 series, or CRVW3. The SP10 is compatible with EnerSys Genesis NP series (such as PS200, BP12, BP24), EnerSys Cyclone Series, or Concorde Sun Xtender Series (such as BP84) batteries. 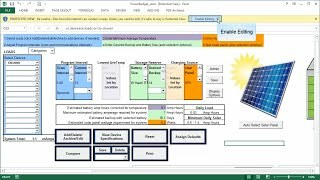 Can multiple SP10 solar panels be used together? 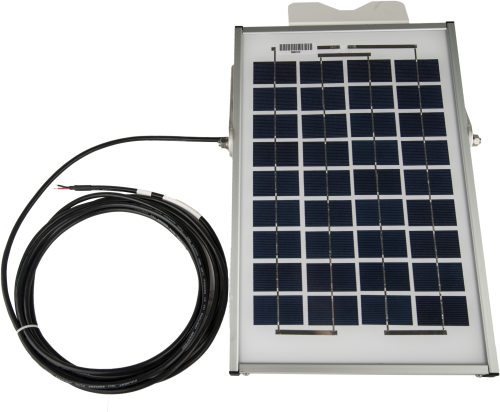 Multiple SP10 solar panels can be used together if required. For assistance with this type of installation, contact Campbell Scientific.